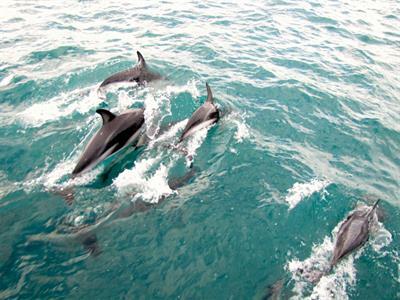 A shore excursion with the unique opportunity to swim with the world’s smallest, rarest and endangered dolphins — Hector’s dolphins. 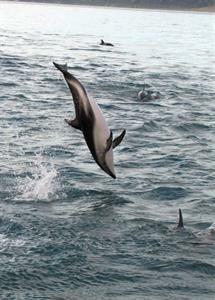 These dolphins are only found in the waters surrounding the southern half of the South Island of New Zealand. 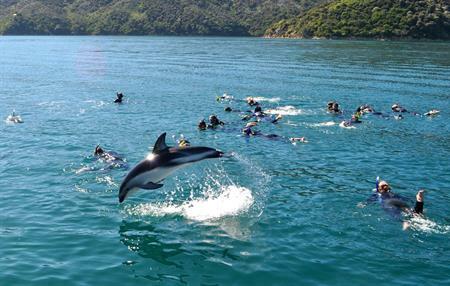 Akaroa’s beautiful sheltered harbour is the only place where you can actually swim with these playful mammals who are willing to interact with humans, and with a maximum of 12 swimming participants, this tour provides a fun-filled small-group experience. 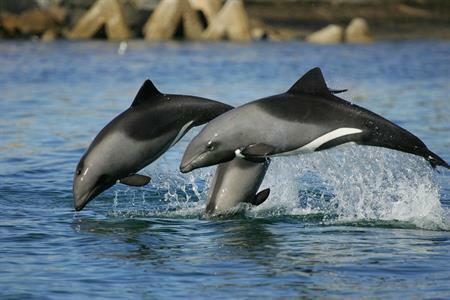 Adult South Island Hector’s dolphins don’t often exceed 1.5 m in length and weigh between 40 and 60 kg. with males being slightly smaller and lighter than females. The swim boat departs every day at 11.30 am or 1.30 pm from the wharf, adjacent to where your cruise ship tender will berth and depart from. To avoid disappointment early bookings for this tour are essential, as there is a limit of 12 swimmers per tour.